The first batch of Team Fiji athletes who have finished their competition at the Pacific Games in Papua New Guinea will return to the country this evening. A total of thirteen sports teams will be arriving at Nadi International Airport at 6:30pm. This includes the victorious men’s and women’s rugby 7s teams, swimming, weightlifting, table tennis, sailing and shooting. Meanwhile, competition continues at this hour. Lawn bowls is also underway with the singles events, the pair’s semi-finals and the fours event. The Fiji women’s beach volleyball side is currently taking on American Samoa while the men’s side will take on Tonga at 3pm. The Fiji men’s volleyball side meets Nauru also at 3pm while the national women’s hockey side faces the hosts at 4:30pm. Fiji boxing will make its long-awaited return to the international competition after an 8-year exile from 7pm. The men’s and women’s 100 meters finals will be held at 9:30pm with Banuve Tabakaucoro and Younis Bese strong contenders for the gold medal in each category. 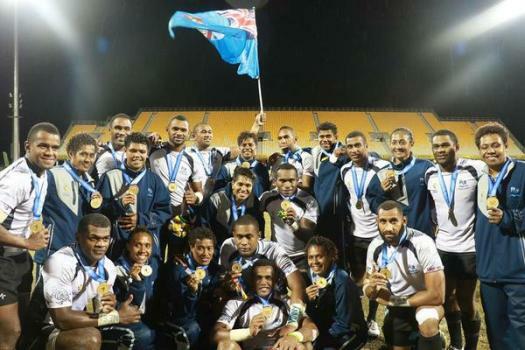 Looking at the medal tally, Fiji is now fourth with 19 gold, 24 silver and 20 bronze medals. PNG still leads with 38 gold, 25 silver and 28 bronze. New Caledonia has 29 gold, 27 silver and 21 bronze, while Tahiti is on 27 gold, 19 silver and 19 bronze.